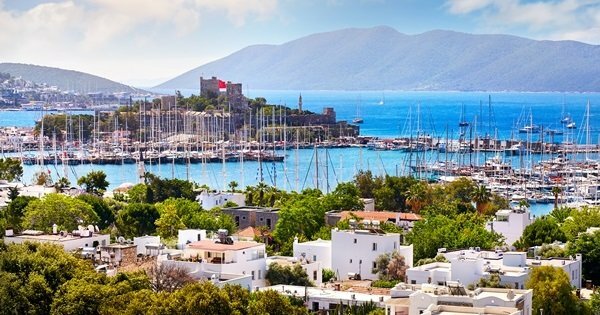 When you take a private tour to Selçuk, you will be amazed at the vibrancy of the city and the ancient ruins there are to see here. 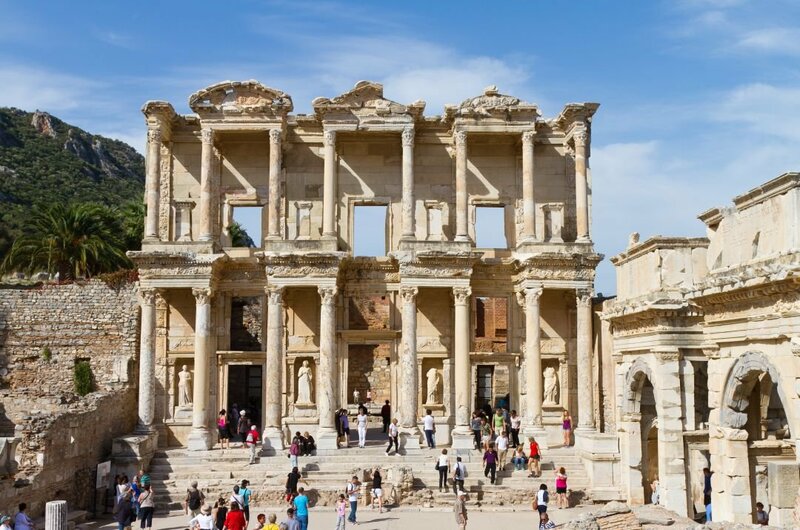 It would not be wrong to say most people think of the ancient ruins of Ephesus when you mention Selçuk but that is unfair on this town as it has more to offer any tourist. One of the pretty impressive sights to see as you approach Selçuk is the ancient fortress on Ayasoluk Hill that looks down over the town. It was this fortress that was built to protect the Basilica of Saint John. The fortified walls are mainly from the Seljuk and Ottoman periods and within the fortress there are 15 towers and grand gates to the west and east of the fortress. There is much to see here and well worth a visit. 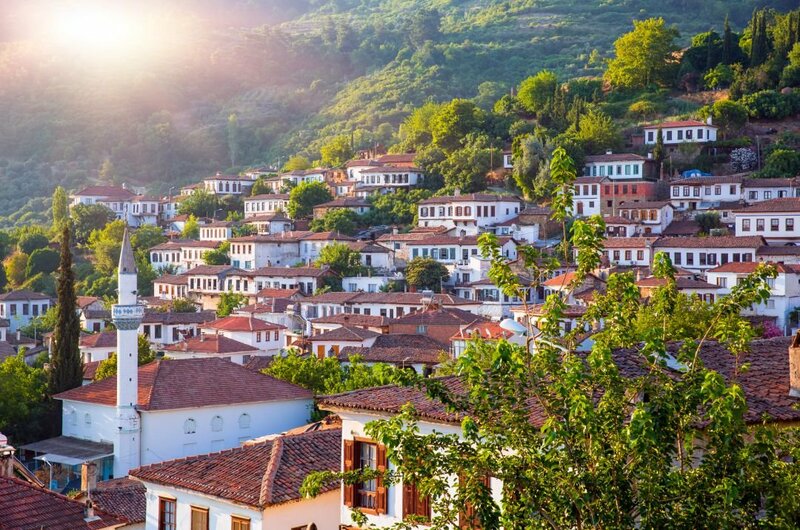 For excellent sightseeing tours, it is well recommended to visit the little town of Sirince that is located around 8 kilometres ‘over’ Selçuk. We say ‘over ‘ because it is up in the mountains and the views to be seen on the journey there, is worth the trip alone. 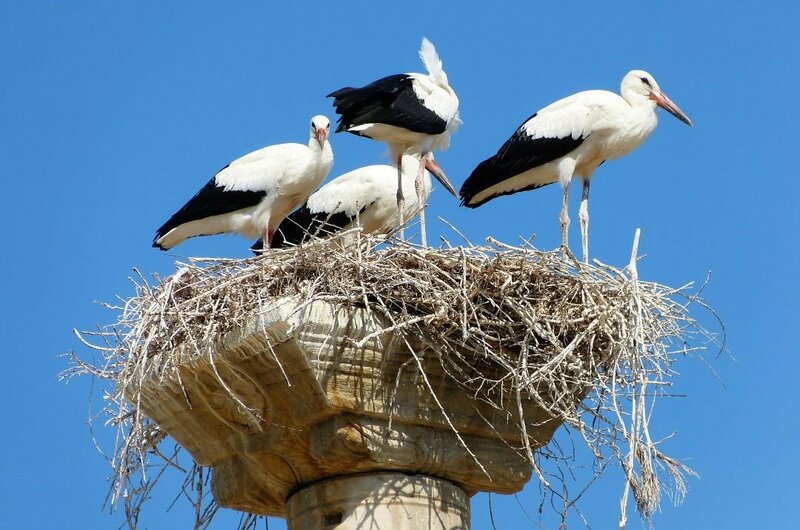 Don’t be surprised to see more Storks here than most other places in the Turkey. 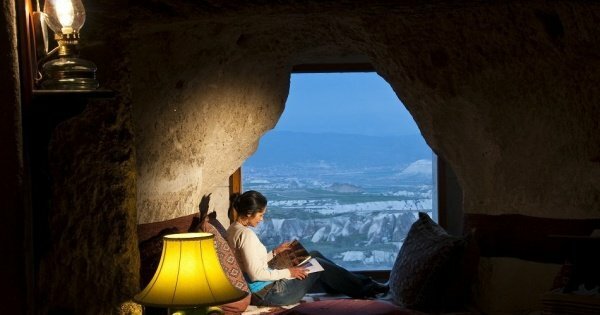 Selçuk has become a favourite with storks as a nesting place. 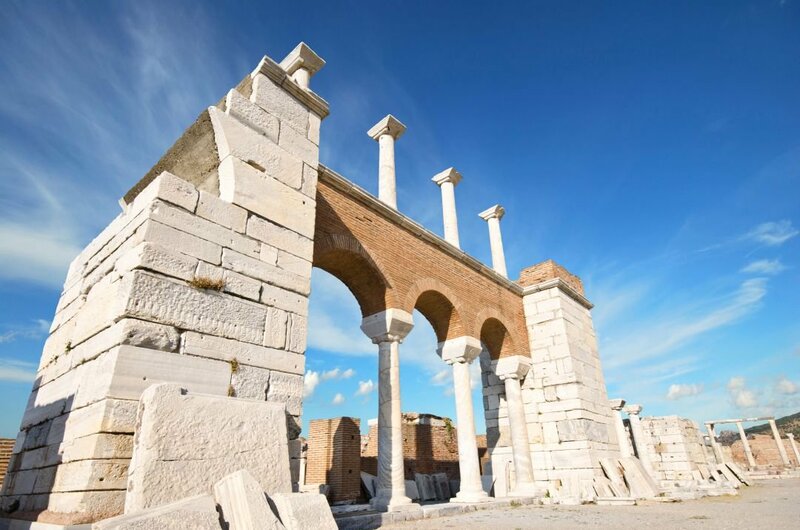 They have taken residence on the disused minaret of a mosque in ruins, on the one remaining column if the Artemision and the pillars of the Roman aqueduct during the months from April to September. 1 Take a guided tour to the Ayasuluk Fortress which is situated on the hill over Selçuk. 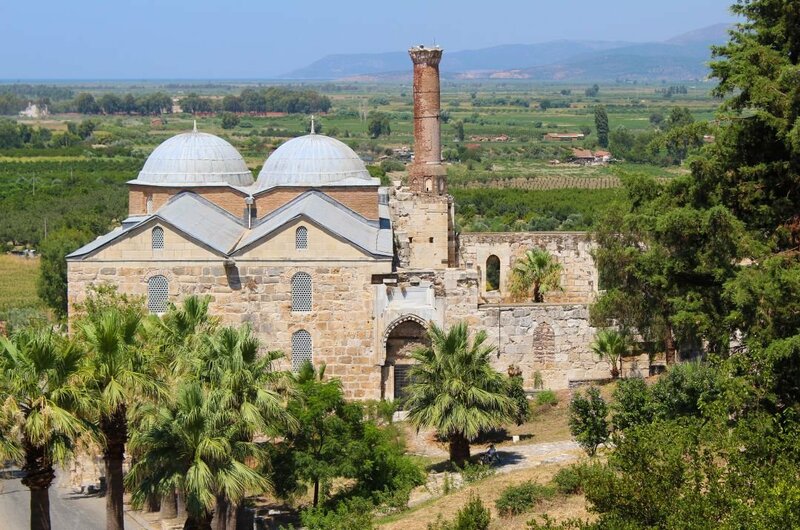 This impressive fortress dates back to the Byzantine era. Within the fortified walls are 15 towers in rectangle shape which served as lookout points for invaders. Behind the walls are remnants of houses and a small mosque. It is still a work in progress in relation to excavations so at any stage more exciting artefacts can be uncovered. 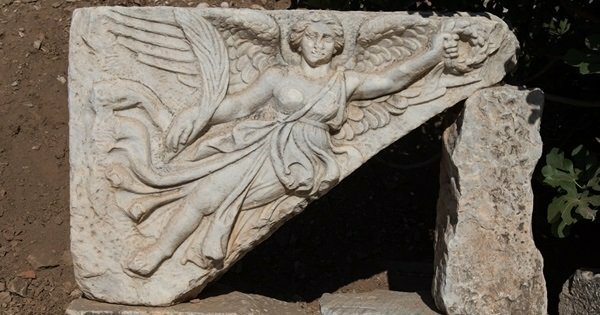 2 Once you have been to see the ruins of Ephesus take a guided tour of the Ephesus Museum located in the heart of Selçuk. The highlight for most tourists in the museum is the Gladiator Room where there are exhibits of all the items found during the gladiator cemetery excavation. 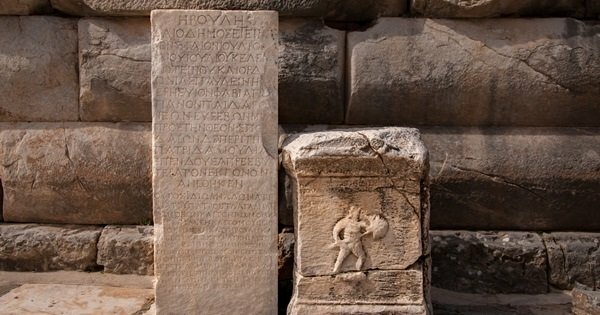 The carved Artemis statue with its multi-breasted depiction of the goddess is exquisite to see along with many other amazing finds. 3 On a guided tour of the Isa Bey Mosque, you will be very impressed with the beautiful architecture that dates back to the 14th century. There are very tall outer walls that surround a large arcaded courtyard. From the courtyard, there is a double domed prayer room. Visitors are allowed to enter the mosque outside of prayer time but everyone must have shoulders and knees covered and women must wear a headscarf. 4 When you take a guided tour of the Basilica of St. John, you will learn that this basilica which resembled a citadel once spread the whole breadth of the hill it is located on. It was once ranked with the Hagia Sophia in Constantinople as being one of the largest churches of the Byzantine Empire. Legend says that St. John is buried under the church. What remains of the basilica are ruins, but you still see its original grandeur. 5 It is not necessary to see the Roman Aqueduct by guided tour as it runs through the centre of Selçuk. This Byzantine aqueduct stretches from St. Jean Caddesi across the main road into the town and continues to Inönü Caddesi. 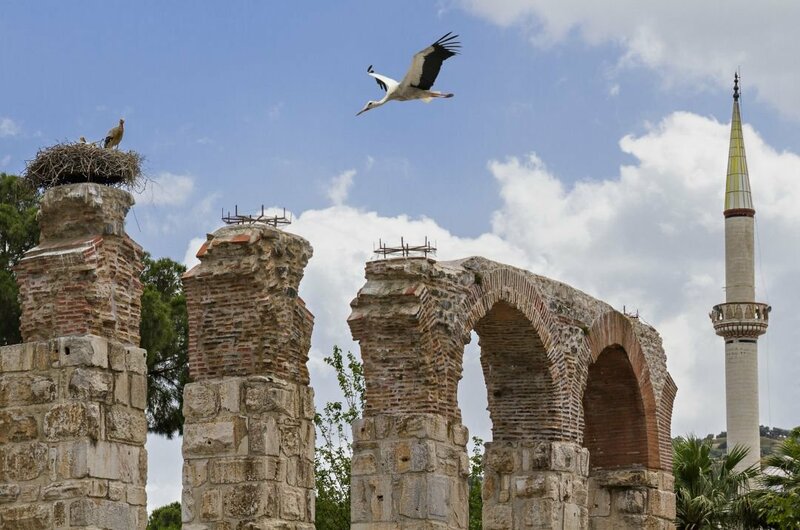 As interesting as the structures and history are, the best time to visit is from March to September because this is when the stork nesting season is and they have made the Roman aqueduct their nesting spot. 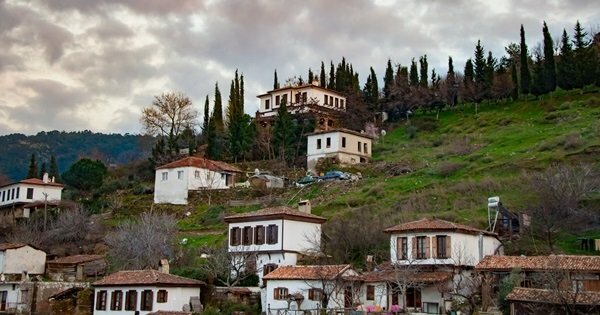 6 Located just eight km from Selçuk is the beautiful picture perfect village called Sirince. On a sightseeing tour, you get to see the most spectacular scenery on the journey uphill to the village. The red-roofed stone houses are built on a slope so the image it projects from afar is amazing. 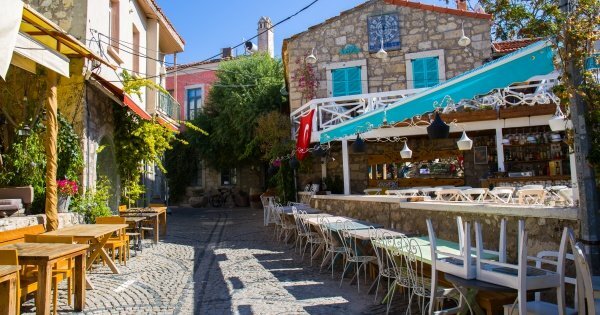 This village is mainly small roads and lanes lined with shops and restaurants. 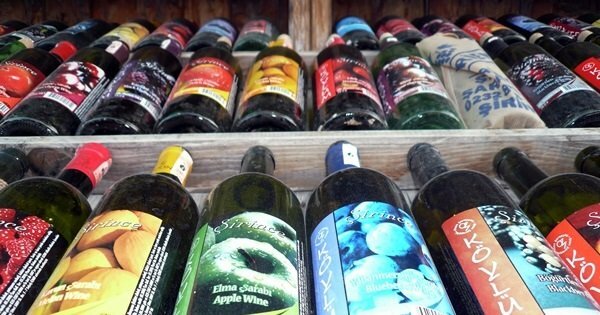 A lot of products on sale are items made from the local produce. 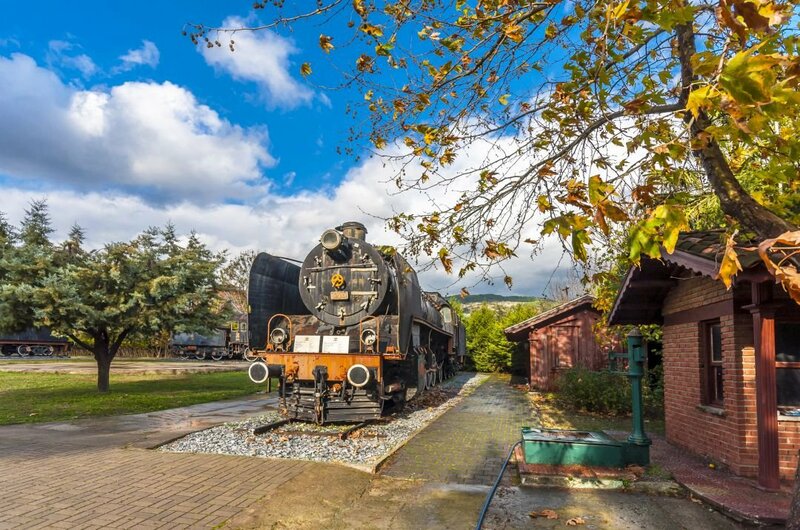 7 Another interesting guided tour to take when you are visiting the area of Selçuk is the Çamlik Railway Museum. 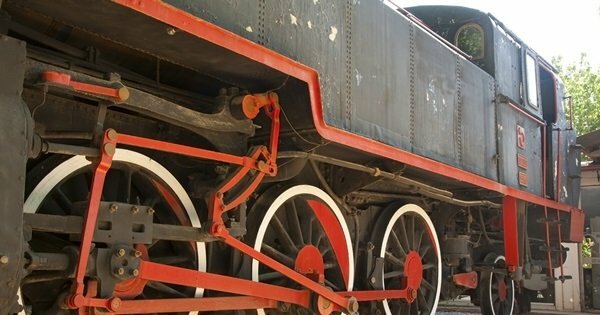 This open air museum is very intriguing and consists of old stream engines and railway cars that were active up to seventy to eighty years before. There are many of the steam engines and railway cars that you can climb aboard and explore. This is an especially good tour of children who love trains. 8 An interesting place to go on a sightseeing tour is the Bird Sanctuary in the Selçuk Gevekirse Lake Site. It was set up for the preservation and reproduction waterfowl and spreads across thousands of hectare of marsh from Ephesus and Pamucak. There are over thirty-five different types of birds and mammal that live here such as Mew Gulls, woodcocks, red-legged partridges, boars, jackals and foxes. 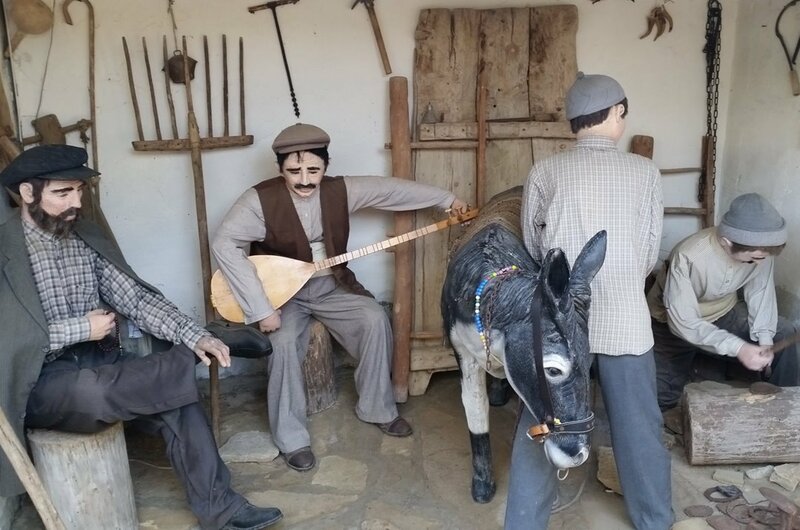 9 For something completely different to do in Selçuk, visit the Çetin Culture Village Museum. This museum is the realisation of a childhood dream for Nazmiye and Ayhan Çetin. It is a museum made up of handmade dolls and model villages that give us the opportunity to journey through the past. It is fascinating seeing the how intricate the dolls are and the model villages, no detail has been left out. It is a very good and interesting. 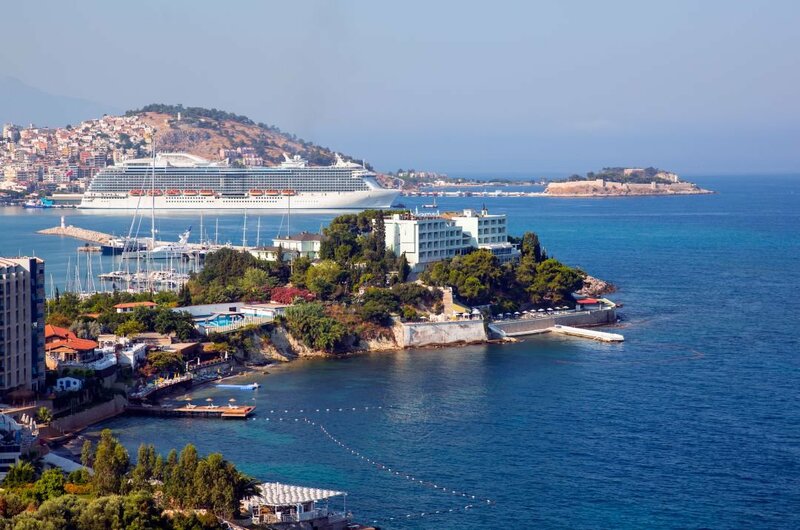 10 Why not take a sightseeing tour to the town of Kusadasi on for a day or two. This beach resort is a major cruise ship destination and if you are lucky on the day you visit, you may see some of the largest cruise liners in the world moored here. Take a walk to Pigeon Island and view the city from afar. Take a stroll along the Kaleci area which is the old town. There are many excellent mouthwatering restaurants. 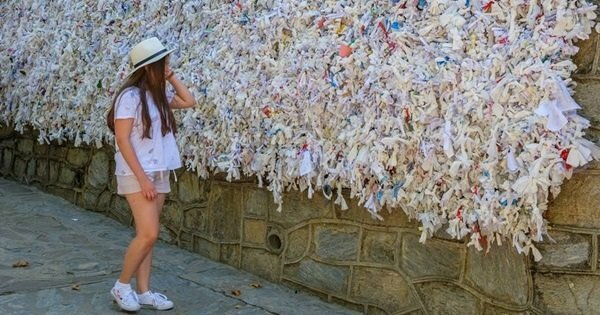 If you are really interested in sightseeing tours to such places like archaeological sites then from Mid March, through to early November are the best times. The intense sun is not beating down on your head as much, and this can be dangerous to some causing dehydration and sun stroke. It is also cheaper these months and the winter months. Flights and accommodation prices increase during June to August. During peak season, the average amount of money needed per day for 3-star food, accommodation and excursions per person is about $225.00. It is a lot less during the off season. This is just a guideline, there are cheaper or more expensive hotels and restaurants, so how much you want to spend will all depend on your budget. 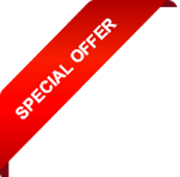 To get around the town or go to other nearby towns or cities, the public transport is very cheap. Research your destination thoroughly. Before entering Turkey, check if you will need a visa, if you do, these are easily attained online. 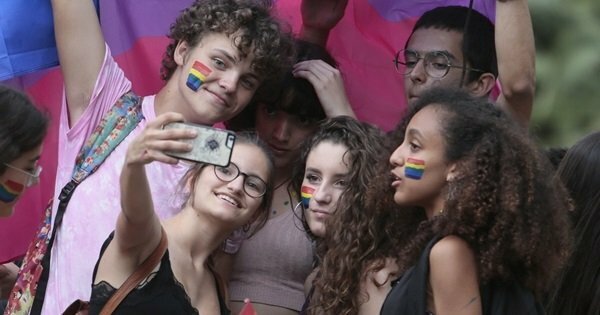 Turkey has two major religious holidays during the year, and many places are closed. 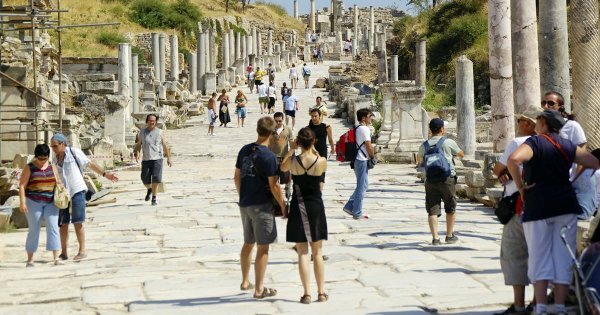 However as tourism is crucial here, most tourist attractions including Ephesus remain open, they are just extra busy. Wear flat shoes if going on a sightseeing tour to Sirince. 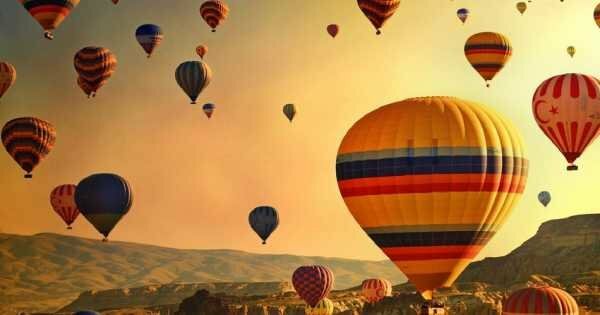 The weeks of July and August are the hottest in Turkey with temperatures rising above 33 degrees Celsius and virtually no rain. June and September have temperatures around 30 degrees Celsius, April, May and October’s temperatures from 22-27 degrees Celsius. January, February, December are the coldest months with temperatures around 14 degrees Celsius and a good bit of rain. Attend Sunday Mass at the House of the Virgin Mary with a private tour from Kusadasi and then explore the area where it is believed the Virgin Mary lived out her final years. 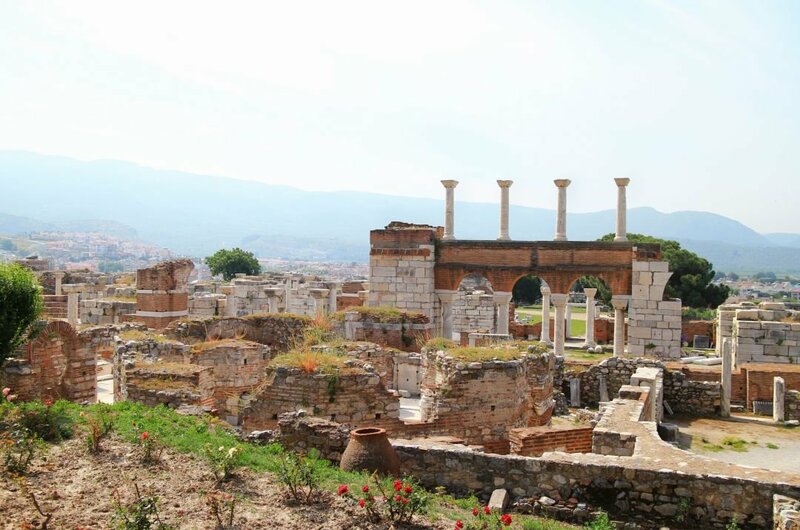 Steam Away With a Private Escorted Tour to The Temple of Artemis, Kirazli Village, Ephesus & the Train Museum and Experience the Village Life and History. 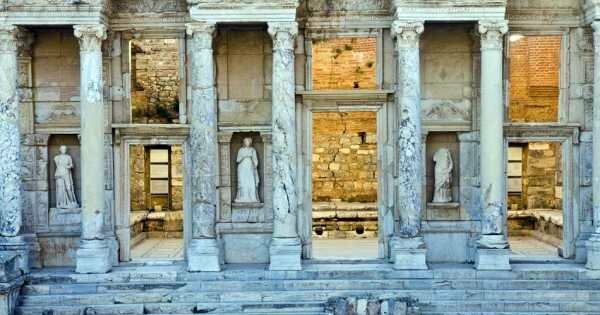 A guided cultural tour of Ephesus, House of the Virgin Mary and Temple of Artemis with a private guide and minivan in our private tour from Bodrum Marina & Hotels to Ephesus.